Client satisfaction is the vision and the mission of Skylark and the company strongly believes “Once a client always a client”. The company has always followed a policy of taking up development only on properties that have clear, litigation-free titles, with every aspect thoroughly vetted by its legal department. The department also ensures that every project has all required approvals from the urban development bodies. A dedicated team of professionals comprising architects, civil and structural engineers, landscape specialists, project managers, etc. then take up the responsibility of ensuring eco friendly spaces, optimization of resources and timely delivery every time. The result has been a reputation for quality that has spread far and wide through word of mouth and the recommendation of satisfied customers. Skylark has over 4.8 million square feet of construction under its belt spanning residential and commercial development. 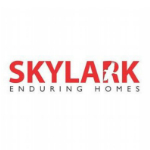 Its recent projects have been breaking new ground in the creation of living spaces and this project is yet another expression of Skylark’s desire to reach new heights by offering its customers more.